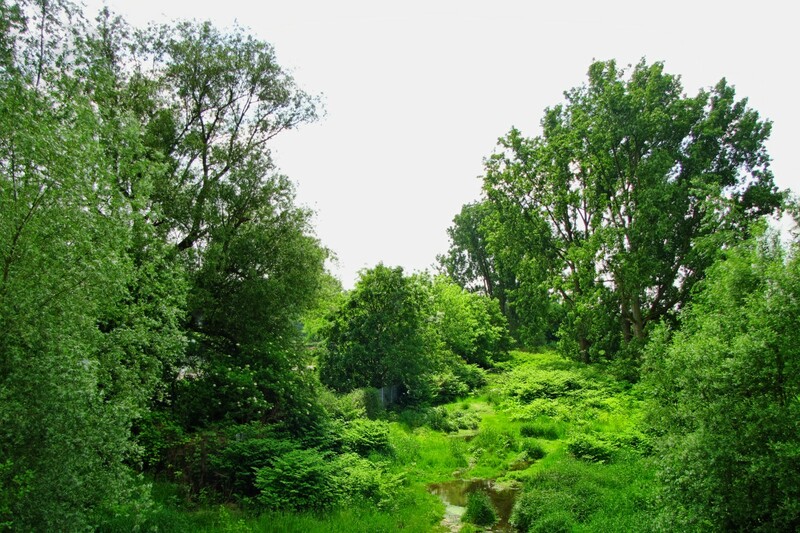 The wetlands near Mülheim’s Wasserbahnhof behind the old water power station. 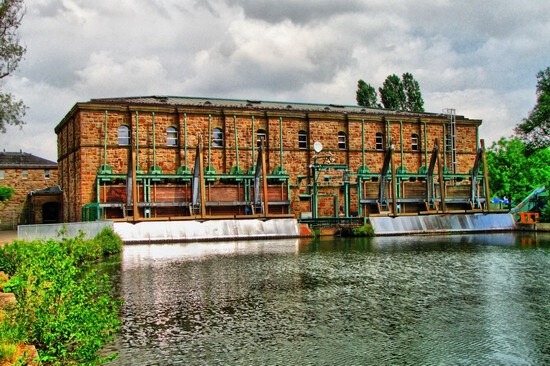 The rear, inlet side of Mülheim’s old water power station near the Wasserbahnhof. The machinery in front of it is used to skim dirt and flotsam out of the water before it flows into the turbines.